The result of using our thermal packaging is a better consumer experience in Brisbane and an improved bottom line because of reduced waste. In many cases, the standard thermal packaging options available to commercial businesses today are sub-par. 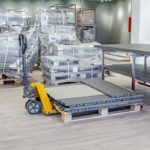 If you rely on thermal packaging to deliver your goods and supplies to your customers, you may also find yourself adjusting your bottom line for the amount of waste that is expected as your goods shift and change temperature during transit. At The Wilpak Group, we believe you should have reliable thermal packaging for every shipment you make in and out of Brisbane, Queensland. That’s why we created our Insul® technology, which offers the best of both secure shipping and temperature regulation for food and pharmaceutical companies. The advantages of our thermal packaging go far beyond simple temperature regulation, although that is certainly a primary goal. Additionally, you will know that your shipments are secured properly during transit and that your products and supplies are arriving to the end user in-tact. The result of using our thermal packaging for your shipments and deliveries is not only a better consumer experience at the final destination, but also an improved bottom line because of reduced waste. That means our thermal packaging is an investment that will see great returns for your business from the first shipment, and for many deliveries to come. At The Wilpak Group, we provide consultations for companies looking for ways to improve their shipment methods in Australia. Our innovative technologies can truly change the way you ship your goods and supplies. If you would like more information about our thermal packaging, contact us today to get started. We saw a need for better temperature management solutions, which inspired us to create our Insul® technology for companies like yours in Brisbane. 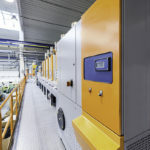 When you need to ship temperature-sensitive goods, temperature management during transit is likely a priority for your business. Our Insul® technology offers the thermal barrier you need for each shipment in Brisbane. Having a great thermal barrier to protect your temperature-sensitive goods is one of the best ways to ensure that your products arrive safely and securely to their intended destination.